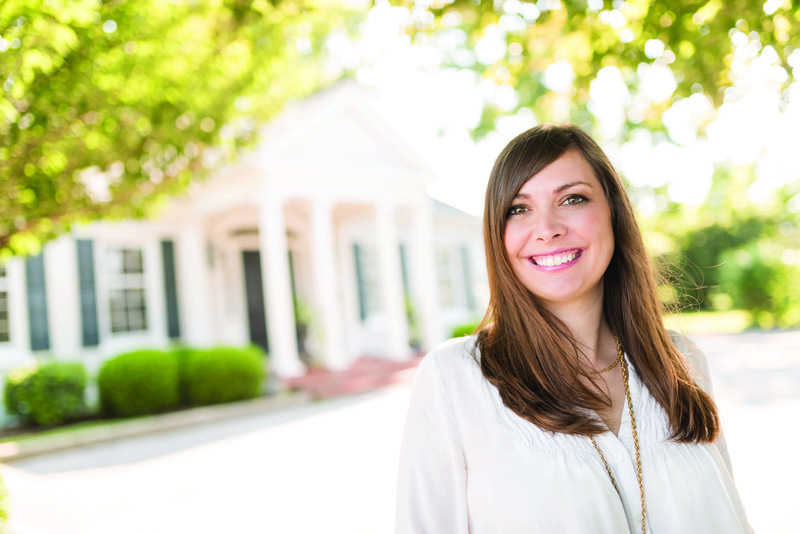 The winner of our First Look at Last Look contest, Charley Harold of Dear Charley Designs in Lexington, KY, specializes in approachable, relatable design. 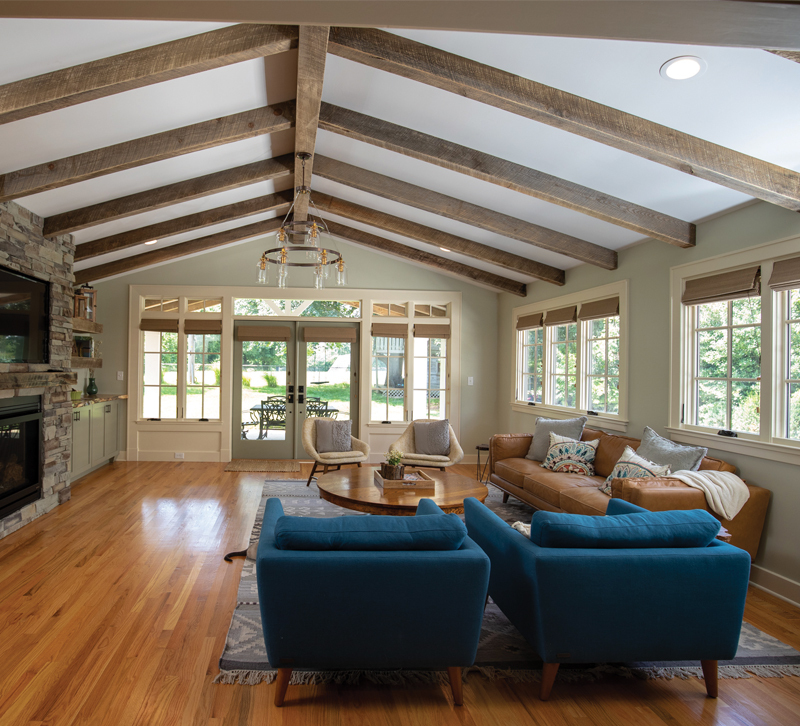 Her winning submission, this family room addition in Lexington, proves that wood finishes should never be monochromatic. 1. One of the most difficult parts of the project was selecting different wood species and melding them together. This was an important feature to the homeowner, so we took every effort to find the perfect pieces of wood to complete each feature ­— beams, wood flooring, live-edge countertops and the solid beam mantle. The beams are salvaged from a rural barn in Garrard County, KY, and the live-edge countertops came from a specialty shop in Bagdad, KY. The solid hardwood flooring is select white oak, stained to match the existing wood flooring throughout the house. The mantle is a reclaimed solid beam from an old barn cut to just the right size. 2. Mixing wood colors and finishes was all about tone and layers. I worked to make sure they all related in some way. There is a golden tone that is present in each wood selected, but the shade or tint is a little different. Additionally, the texture of the rough-sawn wood beams, live-edge countertops and polished hardwood floors really kept the space from looking too monotone or flat with so many types of wood finishes. 3. The clients and their family have a playful style and were eager to think outside of the box. My design was an attempt to reflect that aesthetic. The room could have easily gone more toward a farmhouse design, but the family and I both wanted to add a modern punch of fun. This eclectic look was achieved by utilizing the homeowner’s Mid-Century Modern furniture, using trim as a nod to the existing 1950s ranch style of the home and by juxtaposing many different textures. The Industry Voices blog captures the thoughts, insights and challenges of the lighting and home decor industry from those who know it best. We want to hear from showroom managers, interior designers, trend forecasters, manufacturers and other professionals who have a unique take on the industry.